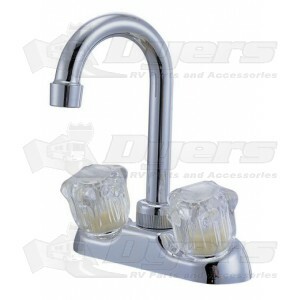 There's plenty of room to wash pots with this faucet! Even thouhlgh this is plastic, itt is nice and solid and works well. Only issue is that the spout does not extend very far. Easily corrected with a rotating extension. Item is exactly what I needed. Wish the high arch had more of an angle toward center of sink. Shipping was fantastic. Arrived in less than 2 days.